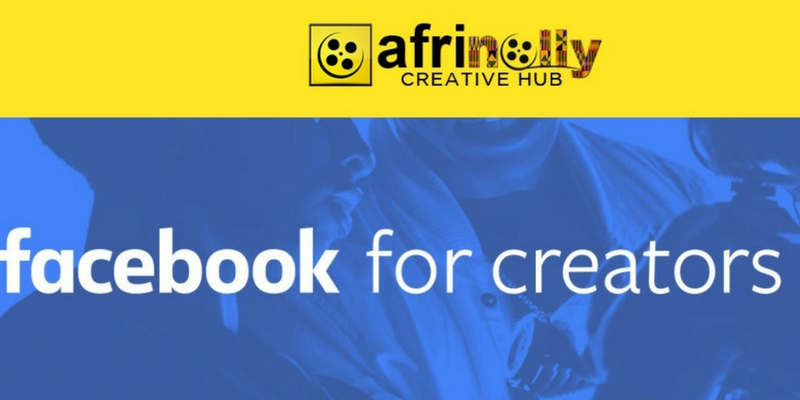 Facebook and Afrinolly are inviting applications for the Facebook for Creators Training Programme in Nigeria. This specially curated programme aims to train thousands of young creative entrepreneurs – from journalism students and bloggers, through to artists, photographers, actors, filmmakers, comedians and social media influencers, on how to maximize Facebook for storytelling, content gathering and more. You will learn how to leverage Facebook products to showcase your work, increase awareness and engage audiences online. Learn how to establish your brand and make your videos stand out. Discover how to grow your community and make money doing what you love. If you reside in Lagos, Jos, Kaduna, Abuja, or Kano you will be able to attend this training in your city. The Facebook for Creators Training programme is absolutely free for all participants in all locations. Training is a day’s event. Starting from 10:00am-4:00pm with breaks in between. For more information, visit Facebook/Afrinolly Training.